If there is one thing that we citizens might agree on, in the wake of Alex Salmond’s successful legal challenge, it is that we need to have a shedload of money to take on our government. Alex Salmond’s successful crowdfunding appeal safeguarded his own personal financial security. By contrast, the government did not need to seek our support before setting out to defend itself vigorously in court with our money. Then it lost our money. But the same civil servants are still in charge. I have been learning a few hard lessons about the accountability of government in all its forms to citizens without personal riches who are not able to resort to crowdfunding appeals. Over two years ago I was approached by a family whose two children had been removed on an emergency order and who were still being held in care several months later. The mother was accused of ‘fabricating’ autism in the older child, and thereby exposing the younger child to harm. The ’emergency’ order was obtained despite extended family members making it clear that they would attend within hours if social workers had any reason to believe that such a step was necessary. The whole family could not have been more impeccably respectable, with stable family lives, successful careers, economic security, and close and supportive relationships. Despite this, the children were removed without warning. This was carried out by social workers with the attendance of uniformed policemen in the late afternoon one Friday. The parents and their wider family were given no information over the weekend about where the children were or how they were coping. They found out later that the children had been immediately separated after removal. The older child was placed in a residential home despite being under the age of children that the home was registered for. The home was also not registered for caring for children with autism. The younger child was placed in one foster home, and then in another miles away. As the children had been removed on a Friday, there had to be a hearing on the following Tuesday, the second working day after their removal. Over the weekend there was no news about the children – the family had no idea where they were or how they were. They were given no opportunity to instruct a solicitor or seek independent advice. The second working day hearing was introduced as a safeguard after the Orkney inquiry into the emergency removal of children from several families on South Ronaldsay in dawn raids in 1991. An additional safeguard that was introduced was clarity that children had an absolute right to attend their own hearing. If parents do not bring children to a hearing a warrant may be, and often is, issued by the reporter to compel a child’s attendance. Only a panel can excuse a child’s attendance, but they cannot deny the child the right to attend. 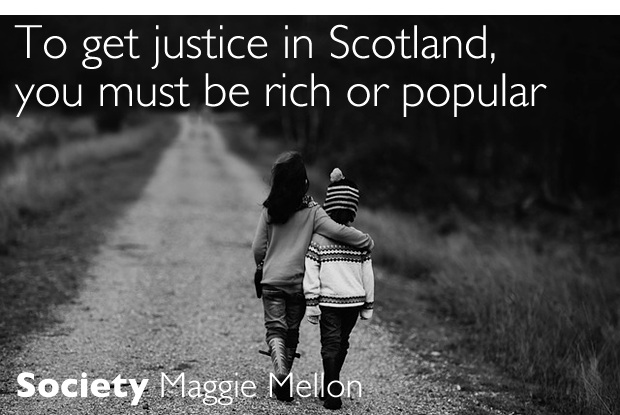 The principle since the Orkney inquiry is that any and all children who have been removed on child protection orders must be brought to the first hearing so that they can be seen and heard. In this case – and who knows in how many others – the children were not brought to that crucial first hearing. We discovered later that serving notice of the hearing had been left for the social worker to do. No one checked that she had. If the children had been brought, the panel would have been able to see immediately that they were very distressed and wanted to return home and were not afraid to do so. As it was, the panel members were led to believe that the children were relieved to have been ‘saved’ and did not want to see their mother or father. The nature of the allegations and the emergency nature of the removal undoubtedly created the impression of a psychotic and dangerous woman whose children had been at imminent risk of terrible harm. The children were later allowed to write letters about their views and feelings which were brought and tabled at a subsequent hearing. But the hearing at that point said that they ‘did not have time’ to read the children’s views. A subsequent letter from the older child made it clear that she believed that she needed to have the panel’s permission to attend a hearing. That letter is on file, but was either never read or it was ignored. The child now says that she was told she had to wait for word from the panel to say that she could attend. However, on the day of the hearing she was told by staff that she was ‘not needed’. Staff in the children’s home, the children’s rights officer, and her social worker, were all aware she wanted to attend. Not one of them helped her exercise her rights. So much for children being ‘at the centre’ of the children’s hearings system. These two children were not seen by any children’s panel until after they had been detained in care for over a year. During that year and after, both were deprived of the right to communicate independently with each other or with any member of their family. The children were not allowed to receive or make calls to their mother or to other family members. They were not allowed to receive letters, gifts, or books or toys that had not been opened, read and approved by the social worker. They were not allowed to send private letters. The children’s mother was alleged to be suffering from a serious mental illness, such that she posed a serious risk to her children. In fact, there was never evidence of mental illness and psychiatric and psychological assessment cleared her of any disorder. Shortly after removal from her home, the younger child was hospitalised overnight and treated for dehydration. This child has a traumatic history of loss and separation, through no fault of the parents. Anyone with a basic understanding of the impact of separation and loss on children could have foreseen the traumatic effect that separation from her home, parents and sibling would have. The parents were also not told that the child was in hospital. The older child did not attend school for five weeks after removal. The social workers claimed that this non-attendance at school was useful in allowing the child to settle in care. She was also allowed to watch horror films and programmes with sexual content, and was in the company of much older children. She began to self-harm by cutting. The youngest child’s school was changed without consultation or consent, so that within a few months she had lost every person and place that had been part of her life, including her sister. Their Catholic religious education and obligations were ignored. In that time the older child was officially diagnosed with autism. No apology was forthcoming about the previous claims that she was merely very badly behaved as a result of her mother’s poor parenting and that the claim of autism was a fabrication. This child was also interviewed on multiple occasions about the possibility that she had been sexually or physically abused by her father or her mother. The limited ‘contact’ time that the children were allowed to have with their mother was strictly supervised, and no discussion was allowed about why the children were in care, how they were being treated in care, or what their worries and needs were. Favourite books and toys from home were forbidden with no explanation. The mother was told that if she did not assure the children that they were in the best of hands and everything was fine, then contact sessions would be terminated. When the children were upset during contact, looking for explanations, and were clingy or tearful, this was described as ‘very poor contact’, and recommendations were made for contact to be further cut and restricted. When the case finally got to court, it was nearly a year after the children were taken. Most of the grounds that had been alleged were disproved and were either retracted or struck out. However, one ground of neglect was upheld by the sheriff on the balance of probability, which is the standard of proof for civil cases. This ground alone would never have been enough for a sheriff to agree to the removal of children a year earlier. It was certainly not sufficient to justify the actions that followed. It is my belief that the single ground that was proved in that court could be proved against any parent in Scotland, particularly where one child has a disability or special need. The social workers used this narrow ‘win’ at court to announce that the children would never return to their mother, and that one child would be institutionalised in a residential school and never live at home again during her childhood. So far so terrible. But surely when this was all brought to light there would be official recognition of the harms done by what were blatant breaches of national regulation and guidance? When I became involved and was able to verify all of the facts, I naively thought that pointing these out to the senior people in the council would lead to things being put right. However, I was met with a wall of denial. The senior people insisted that they had total confidence in their staff and refused to justify or explain what was happening. I made formal complaints to the Children’s Hearing Service (CHS), the Scottish Children’s Reporter Administration (SCRA), and to the council concerned. Children’s Hearings Scotland refused to investigate the complaint that they failed to see the children and failed to take account of their views – or even to read them when they had the opportunity. They responded that the complaint was made outside of the six-month time limit. This ignored the fact that the children did not know they had a right to be heard for well over six months after the event. The Scottish Children’s Reporter Administration, who are responsible for the management of hearings, responded that they had relied on the social workers in the case to give children notice of their hearings and to explain their rights to them. They claimed that they were justified in relying on the social worker’s judgement as the social workers would know the children best and what was in their interests. There was no admission that SCRA had failed to perform its main role: safeguarding and promoting children’s rights and best interests, whether in the face of abuse of state power, or family abuse or neglect. I also made a detailed complaint to the council about their failure to follow regulations and guidance. They responded that there would be an internal investigation but that there would also be a review by an independent expert. That commitment was given by the CEO in December 2017 and was repeated several times in writing by him. The internal investigation took eight months to conclude. That is over seven months longer than the statutory time period of 20 days. Their response was that the complaints officer was not qualified to investigate my complaints, and that all of the issues that I had raised were to be dealt with by the promised independent review. On inquiring in writing about progress with this independent review, I was once again assured in a letter signed personally by the CEO in October 2018 that the review was being set-up and would take place shortly. 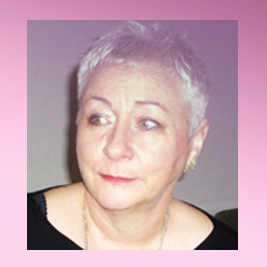 The Scottish Public Services Ombudsman has upheld both CHS and SCRA positions. That is, despite the whole purpose and legal duty of these two bodies being to safeguard children, to hear and take account of children’s views, and to protect children’s rights and best interests, it was okay that they did not see the children, did not hear or take account of their views, did not ensure that the children knew why there were removed, and did not ensure that the children knew and understood their rights and were able to exercise these. And this was all okay because it was reasonable for them to trust the social worker to do the right thing. And it was reasonable for CHS to refuse to apologise to children for refusing to hear from them at their own hearings. The SPSO are now currently investigating my complaint. This, you would think, would be an open and shut case for the SPSO. Councils are allowed 20 days to investigate and respond to complaints, which can be extended, but not indefinitely. The council have not investigated my complaint at all, promising an independent review in their official response. In December, I was informed that the long-promised independent review has been cancelled and an internal review is to take its place. However, I am not optimistic. My faith in any process that is supposed to ensure accountability has been destroyed. People and organisations who publicly declare their commitment to children, to rights and to justice, to corporate parenting, to listening to children and families, have refused to acknowledge their part in causing or allowing huge harm and distress to the children and to their parents and wider family. These are people and organisations whose very existence is to protect children. Protecting children is what they were set up to do, what they are paid and funded to do, and it is what the general public expect them to do. This story is by no means unique. I have heard similar stories from many parents across Scotland – some even worse. So, to return to my original point. If you want to get a fair hearing about a wrong done to you by one or more public bodies in Scotland, you need to be very rich or very popular, or both. Without money, the only defence parents can have is publicity. There is a petition calling for a review of the child protection system being considered by the Scottish Parliament. We need to make sure that it is not dismissed in the same way that complaints are dismissed – with glib assurances that all is well and that the powers-that-be can be trusted. All is not well. I am working with parents in a group called PAR – Parents Advocacy and Rights. We held a Scotland-wide conference for parents in November 2018, which cost just under £1,000 and was entirely funded by online donations and run by volunteers. We have now established an online magazine PAR (Parents Advocacy and Rights) and the second edition is due in February. Parents are the most compelling witnesses in their own case. We intend to enable their voices to be heard so that their children’s plight can be understood. We want to make sure that a broken system is fixed and fight for the day that you don’t need to be rich to get justice in Scotland.